Looking fresh, fun ideas to answer the question, “What’s for dinner?” Family meals should be delicious, of course, and quick to prepare! 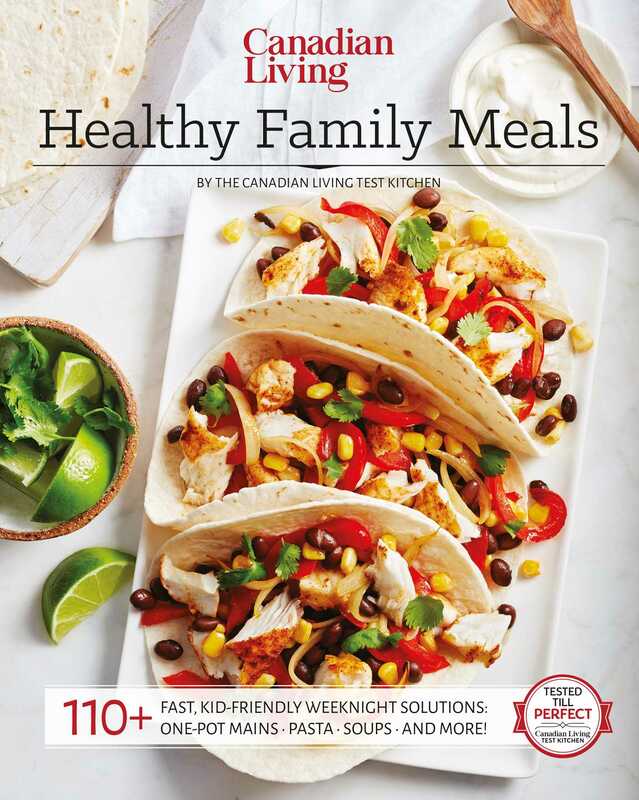 Parents need weeknight meals that adapt to kids’ changing palates without sacrificing flavour for the grownups. And more than ever, families are making healthy eating a priority by reducing salt, added sugar and fat. The food editors in the Canadian Living Test Kitchen have gathered our best weeknight dinner recipes. You’ll find terrific ideas for pasta night and meatless Monday, recipes for the barbecue and the slow cooker, as well as easy one-pot meals that save time and clean-up. All of our recipes are Tested Till Perfect so you can be confident they will always taste as good as they did in the Test Kitchen.